Belmont Infiniti Service and Repair - 5 Star Auto Service Inc.
Are you searching for Infiniti service and repair in Belmont? The team of auto mechanics at 5 Star Auto Service are ready, willing, and able for Infiniti service and repair. We are proud to be the go-to auto repair shop for Infiniti owners throughout Belmont and the Peninsula, and our family-owned business looks forward to serving many generations of Infiniti owners in the years ahead. At 5 Star Auto Service, we want to keep your Infiniti operating at its best for many years and miles. 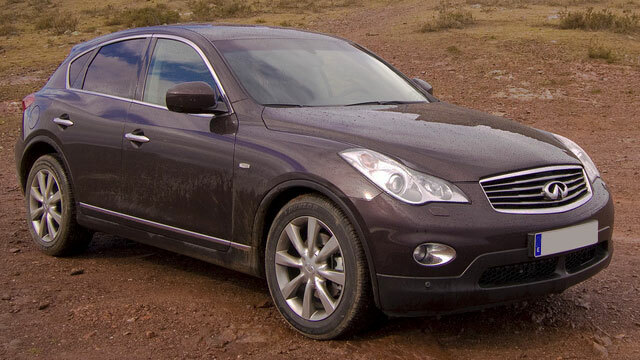 Our technicians will thoroughly examine your Infiniti, scouring for any signs of trouble. As a detail-oriented and meticulous team, our auto technicians often spot and solve problems unfound and unsolved by other independent auto repair shops and dealerships in Belmont. “I have been taking my cars to 5 Star Auto Service in Belmont for about 12 years. I wish I'd found these guys 20 years earlier. They are honest and friendly and have good mechanics who stand behind their work. They have always gone above and beyond the call of duty to satisfy this customer. Car repairs aren't cheap anywhere, but having honest, skilled people to service your car is priceless. True Pros. I wouldn't go anywhere else.” -- Matthew Y. For an auto repair shop that is the embodiment of the American Dream, hard work and determination, turn to 5 Star Auto Service. Bring your Infiniti to our auto mechanics, and we will go that extra mile to properly service and repair your car, even performing a safety check and offering you shuttle service within the vicinity of Belmont. Schedule an appointment online, or stop by our shop at 1444 El Camino Real, Belmont, CA 94002.